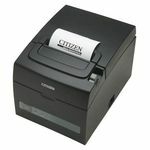 Receipt Printers CITIZEN CTS-310 II Thermal POS Printer. 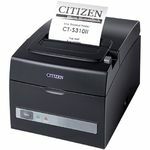 the CT-S310 II fulfils today‘s demand for green IT products. The integrated Energy Star® power supply is one of the most efficient at managing power consumption. CBM-910-24P II Printer /wo Power Supply. 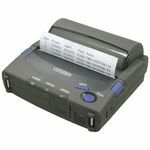 The Citizen CBM-910 24 Column, Parallel Interface low-cost Dot Matrix printer fits perfectly in a wide variety of Data logging & EFTPOS applications. 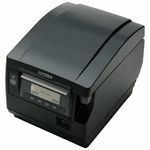 CBM-910-24R II Printer /wo Power Supply. 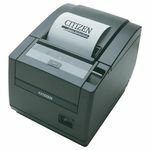 The Citizen CBM-910 24 Column, Parallel Interface low-cost Dot Matrix printer fits perfectly in a wide variety of Data logging & EFTPOS applications. CBM-910-40P II Printer /wo Power Supply. 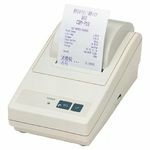 The Citizen CBM-910 40 Column, Parallel Interface low-cost Dot Matrix printer fits perfectly in a wide variety of Data logging & EFTPOS applications. 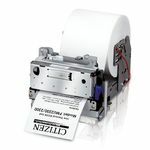 The Citizen CT-S280 low-cost thermal mini printer fits perfectly in a wide variety of logging applications. It combines high-speed, two-colour printing with a compact footprint and drop in paper loading for a reliable, versatile printer. 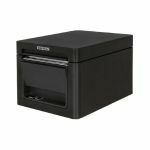 The CBM-920 printers are ultra-compact designs ideal for bankcard, POS and coin counting applications. 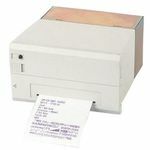 CBM-910-40R II Printer /wo Power Supply. 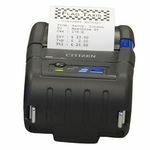 The Citizen CBM-910 40 Column, Serial Interface low-cost Dot Matrix printer fits perfectly in a wide variety of Data logging & EFTPOS applications. 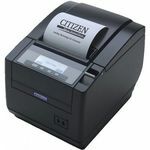 Citizen CTS-310II USB/Ethernet I/F Black Thermal Receipt Printer. 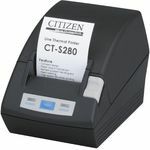 Citizen PD-24 112mm USB/RS232/Bluetooth/IRDA interface Thermal Receipt Printer. 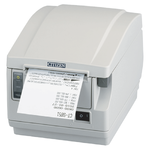 The first in a new line of revolutionary "Intelligent" printers, featuring the industry's first POS printer with a back lit graphic LCD display that communicates with you. It is ideal for a variety of applications from retailers, end users, resellers and software developers in any location or environment, the unit has increased functionality that opens doors to the universe. 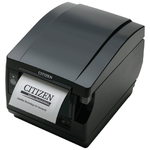 Citizen's CMP-20 mobile printers put the power of professional receipt printing in the palm of your hand. The CMP-20 prints on 2-inch wide receipts. For protection, a strong rubber moulding is wrapped about the high-impact case to give both durability and reliability.